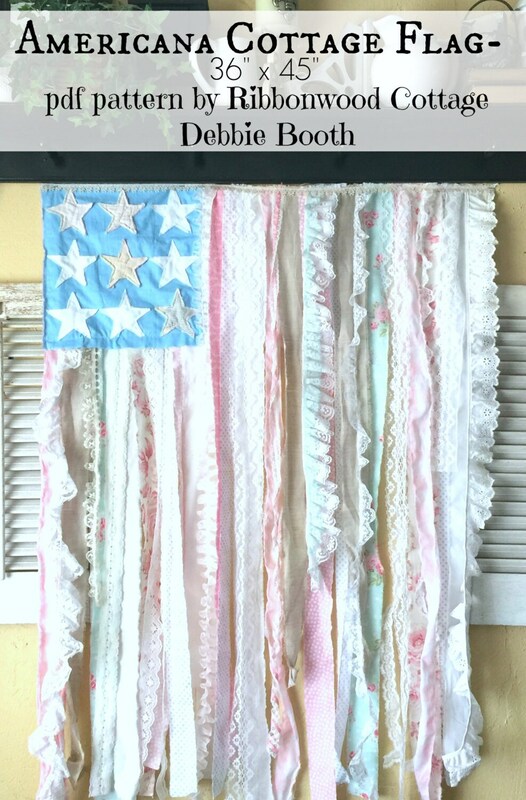 Sewing Pattern PDF Americana Cottage Style Flag Wallhanging PATTERN - 36" x 45"
This is a wonderful and simple pattern for making this Americana Cottage Style flag. 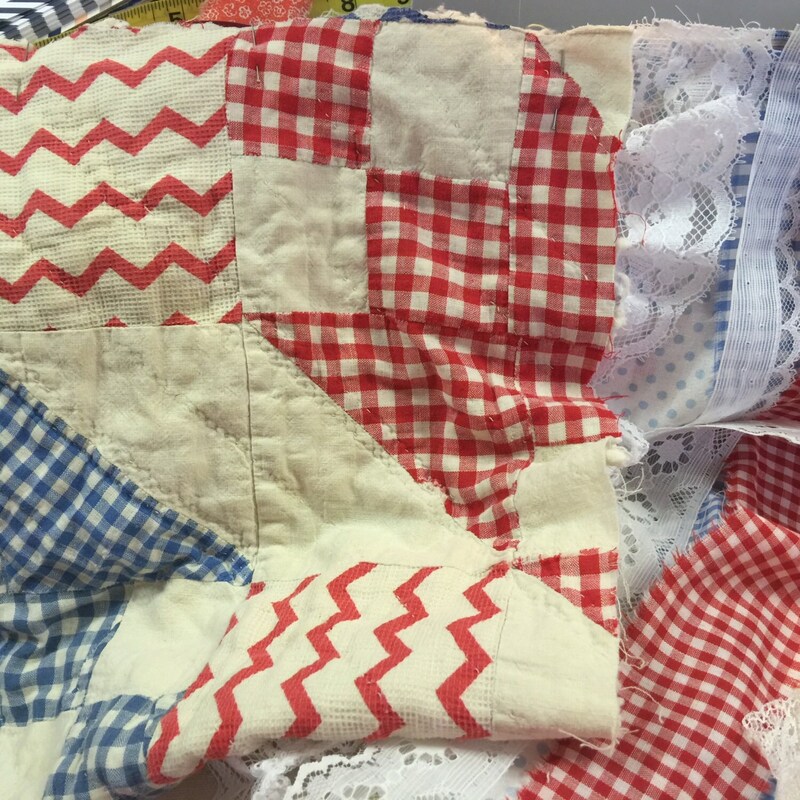 Using old or new fabric, new or old laces and trims, quilt pieces. What ever you choose, it turns out amazing. I have made several so far and enjoyed the process! It is easy to make, and the end result is fabulous. I show you how to make 2 different sizes and styles of flags. One focuses on having stars raw appliquéd onto the square of the flag. Raw appliqué means you cut out a design, and pin it to backing fabric, then sew on top of the design close to the edge, leaving the edges raw. But for this flag it gives it a Cottagey look and it is perfect for the finished look. Next I pulled out fabrics, laces and trims from my years of lace and fabric collecting! 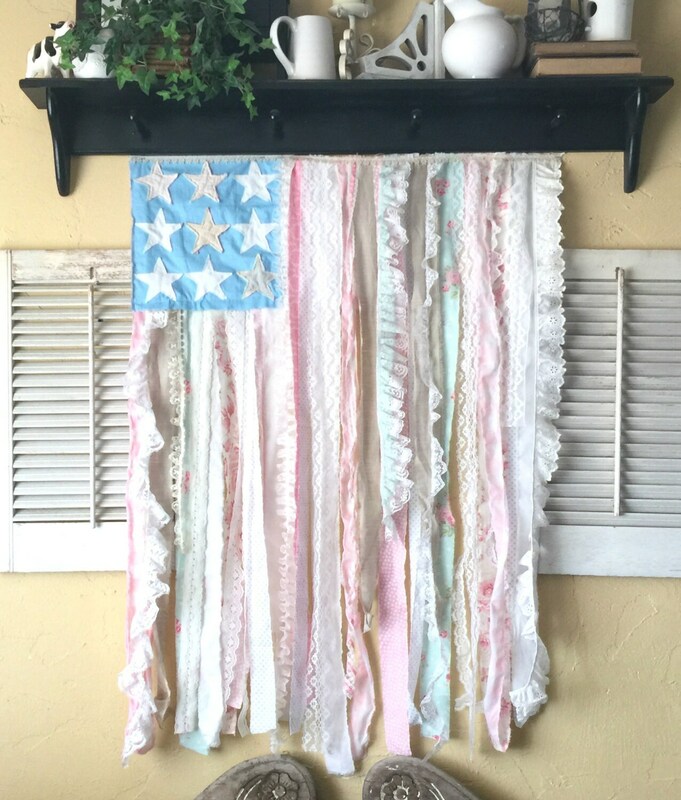 I snipped several colors and prints of fabric and started cutting fabric strips....I ended up with Shabby, Cottage style, Americana style, Prim style flags. The options were endless. 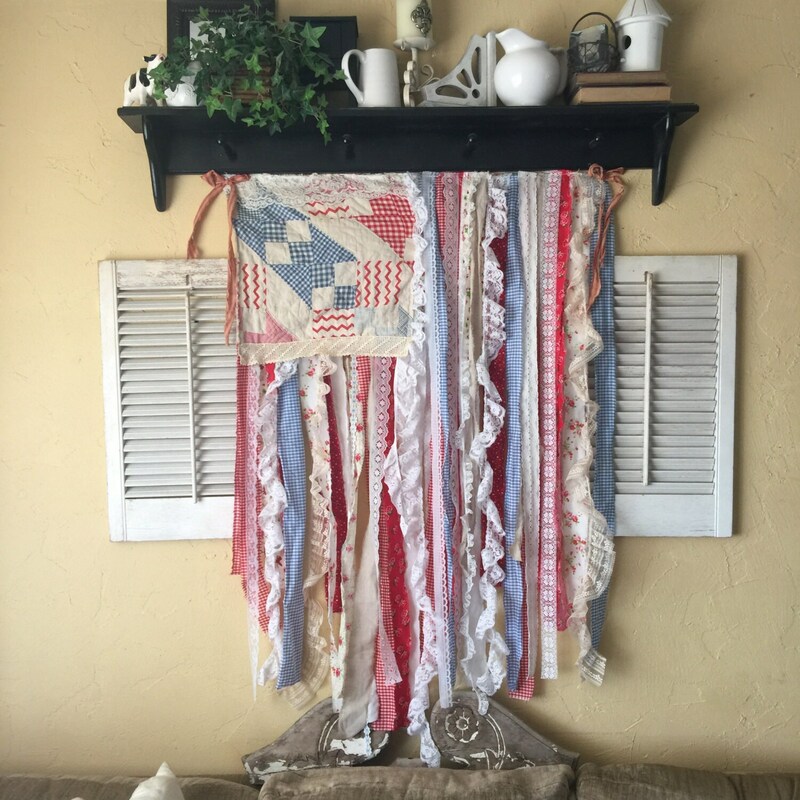 I have now made several of these flags, they go together quickly and are great for wall direction, or to have on display on your porch for Patriotic decorations. I show you how to make a smaller option 24" x 40", and a larger flag 36" x 45". 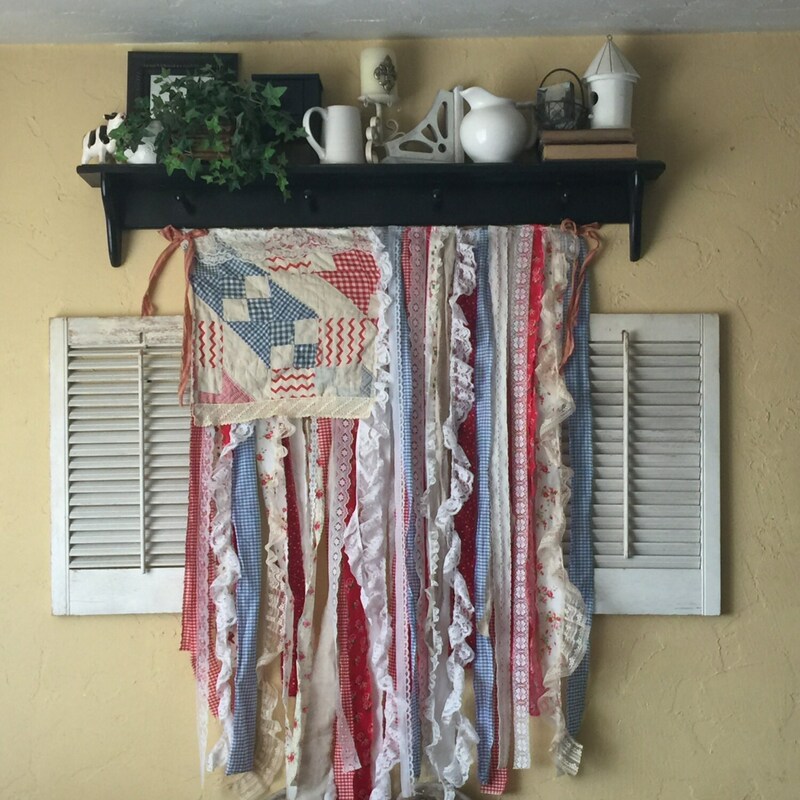 I also give several ideas how to hang the flag for a vintage or farmhouse look, or a simple hanging idea for inside the house.